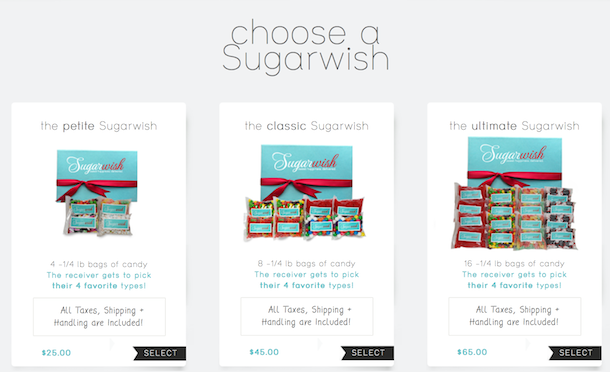 While doing some gift research for an article I recently wrote, I came across this really fun candygram site called Sugarwish. 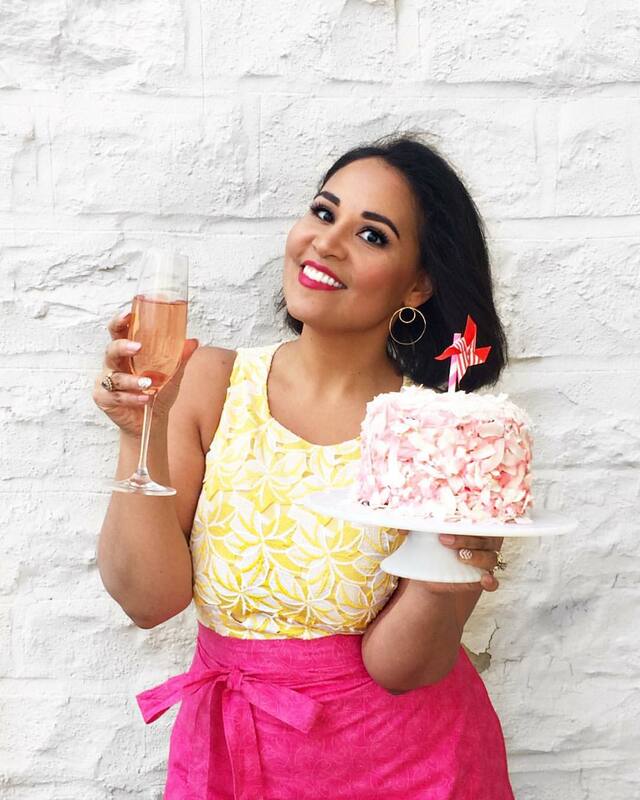 It ended up not being a perfect fit to include in my article, but I loved the idea so much that I figured I'd share it with you here. First, you decide how much you want to spend--prices start at $25 for a box of 4, up to $65 for 16, and already include tax and shipping. Then you pick your greeting--they have options for Christmas, birthdays, thank you notes, or "just because"--and enter the recipients email. 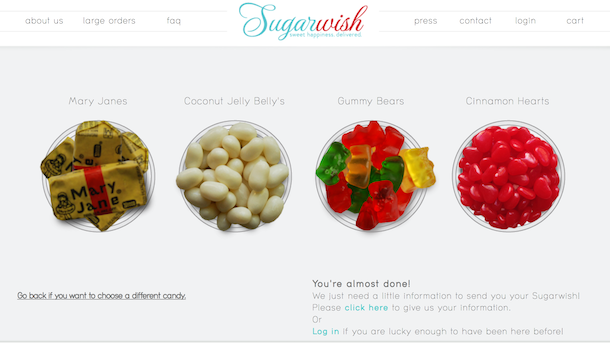 The recipient will then get a e-card directing them to visit the site and choose the candies that they want. The selection changes regularly with everything from jelly beans and gum balls to caramels and old fashioned chewy candies. They even have sugar free candy options available! 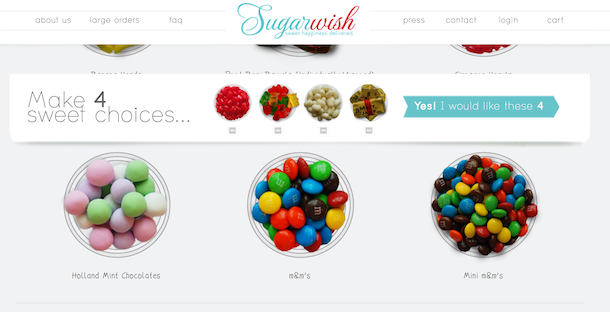 It's a super cute and very visual site where you can drag and drop your picks into the box. Once the recipient makes his or her selections, they enter the code that was in their e-card, submit their shipping info, and sit back and wait. The package arrives in just a few days (depending on where they live) and comes in a pretty blue gift box with a ribbon and red and white-striped lining. Each of the candies is packaged in separate little 1/4 lb baggies. This would be a sweet gift to send to someone that's far away. Would also make a great last-minute holiday or birthday gift. Now, I seriously want to send these to everyone I know!